An initiative by consultancy Investit to better understand UK buy-side firms' broker commission payments in light of a regulatory clampdown will provide greater clarity for asset managers and has heralded a change in attitude on the subject. An initiative by consultancy Investit to better understand UK buy-side firms’ broker commission payments in light of a regulatory clampdown will provide greater clarity for asset managers and has heralded a change in attitude on the subject. Investit has developed a commission analysis survey and already has the backing of several large asset managers. A draft survey has been composed by Investit to which participating firms can suggest amends to better reflect the specific information they want to gain. In a November 2012 report, UK regulator the Financial Services Authority (FSA) claimed only two of 15 randomly investigated asset managers could justify the use of broker dealing commissions to cover research and corporate access, claiming that end-investors were not getting value for money. A letter to asset managers accompanied the report, calling for buy-side CEOs to attest their firm met current FSA rules. Richard Phillipson, principal at Investit, believes the stigma surrounding the sharing of buy-side commission payments has passed and firms now see benefits in sharing this information for their own business and as an industry bloc. “This will be an anonymous forum for the buy-side to share details of their commission spend. 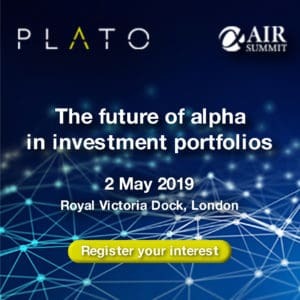 I think asset managers are ready to open up to each other on this subject because the industry already has a good idea of what is being spent and how,” Phillipson said, adding that Investit was still seeking additional buy-side firms to join the initiative to boost the data pool. The survey will quiz firms on what, how and how much they spend on broker commissions and seek responses on specific scenarios for broker research payments. Corporate access questions will also feature in the survey and was the central pillar of FSA calls for greater transparency. The regulator’s November report suggested the opacity of corporate access programmes, which are largely paid for with dealing commissions and defined as research, are not subject to appropriate competitive business practices. Despite this, industry experts have warned that smaller asset managers still need brokers to provide corporate access. “Some asset managers who may be top ten holders in a company are not granted corporate access because the broker in question has not received enough commission,” Phillipson said, adding that this area of industry debate had gained attention with general scepticism over the financial services industry since Lehman’s 2008 collapse. 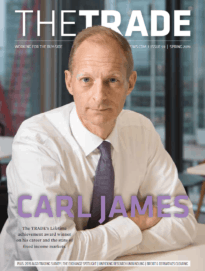 “There’s much more public interest in what occurs in the finance sector, so asset managers are cognisant of headline risk, which will help drive this renewed interest in broker commissions,” he said.